FLORIDA SHARK DIVING MAY, FROM TIME TO TIME, AND RESERVES THE RIGHT, IN ITS SOLE AND ABSOLUTE DISCRETION, TO MODIFY, LIMIT, CHANGE, DISCONTINUE, OR REPLACE THE WEBSITE OR THIS AGREEMENT. IN THE EVENT FLORIDA SHARK DIVING MODIFIES, LIMITS, CHANGES, OR REPLACES THE WEBSITE OR THIS AGREEMENT, YOUR USE OF THE WEBSITE AFTER SAID MODIFICATION, LIMITATION, CHANGE, OR REPLACEMENT CONSTITUTES YOUR MANIFESTATION OF ASSENT TO THE MODIFICATION, LIMITATION, CHANGE, OR REPLACEMENT. Florida Shark Diving is a charter boat service that provides shark viewing and shark diving trips through its Website. The Website allows visitors to search for and book trips for shark viewing and/or shark diving. Your reliance upon any information provided by Florida Shark Diving, others appearing on this Website at the invitation by Florida Shark Diving, or other visitors or users of this Website is solely at your own risk. You understand that Florida Shark Diving is not obligated to provide any maintenance, technical or other support for the Website. You warrant and represent that any and all information that you provide to Florida Shark Diving and the Website is accurate and valid. You agree to comply in good faith with the terms of this Agreement. You will not use the Website in any way that violates the rights of third parties, and you agree to comply with any and all applicable local, national, state, provincial, and international laws, treaties, and regulations. Given the global nature of the Internet, you agree to comply with all laws and rules where you reside or where you use Website. Website is operated in the United States and Florida Shark Diving makes no representation that its Website or services or products are appropriate, lawful, or available for use in other locations. You acknowledge and agree that Florida Shark Diving is the owner of, or has rights in and to, the Website and its associated content, including but not limited to all intellectual property rights inherent therein. The Website is protected by all applicable laws, intellectual property or otherwise, and you are expressly prohibited from using the Website for any purposes not explicitly stated in this Agreement. Specifically, and except where otherwise allowed under this Agreement, you are prohibited from framing, scraping, aggregating, hacking, reverse engineering, crawling, reproducing, preparing derivative works of, distributing, performing publicly, or displaying publicly the Website, whether in whole or in part, without the prior written consent of Florida Shark Diving. Florida Shark Diving hereby grants you a limited, non-exclusive, non-sublicensable, royalty-free, non-assignable, and revocable license to use the Website for its customary and intended purposes. Violation of the terms of this Agreement or use of the Website for a use outside of its customary and intended purposes, such as, but not limited to downloading (other than page caching) or modifying the Website or any portion of it will result in the termination of this license. Absent prior written permission from Florida Shark Diving, you are not permitted to reproduce, prepare derivative works, distribute copies, perform, display, or use for commercial purposes the Website or its content. This license is revocable at any time, and any rights not expressly granted herein are reserved to Florida Shark Diving. All trademarks, common law or registered trademarks, displayed on this Website are the property of their respective owners. Especially, all Florida Shark Diving marks are the property of Florida Shark Diving, including, but not limited to FLORIDA SHARK DIVING and all Florida Shark Diving logos. The Website, including its look and feel, color selections, layout, and arrangement, is the trade dress of Florida Shark Diving. You are prohibited from using Florida Shark Diving’s trademarks, service marks, and trade dress, or any colorable imitation thereof, to indicate the source of, sponsorship of, approval of, affiliation with, connection with, or association with your goods or services without the prior written consent of Florida Shark Diving. All trips and services offered by Florida Shark Diving are as indicated on the Website or any Florida Shark Diving affiliated website. Each of Florida Shark Diving’s affiliated websites provides information regarding the trips and services offered by Florida Shark Diving. Florida Shark Diving provides all of its trips and services from the location(s) of its charter boat, such as Palm Beach. Florida Shark Diving reserves the right to change the locations of its trips and services, depending on the location(s) of its charter boat. All prices quoted on the Website are as stated on the date that the page was published. Florida Shark Diving reserves the right to modify and adjust the prices from time to time. Prices listed on the Website or any Florida Shark Diving affiliated website may not be guaranteed. Prices are subject to change until confirmation of the trip(s) being booked. All prices are listed in U.S. Dollars (USD) and do not include tips/gratuities.  To book a trip through a Florida Shark Diving website, you may call 305-395-9140 or send an e-mail to floridashardiving@gmail.com. A deposit of $250 is required to secure your booking. Florida Shark Diving accepts all major credit cards, cash, and check payments. You agree that you are solely responsible for paying all applicable taxes, duties, levies, or charges imposed by any governmental entity anywhere in the world in connection with your use of the Website and/or purchase of services offered on the Website to that applicable governmental entity. Florida Shark Diving does not charge a fee to change the dates of an existing booking reservation, as long as the request is received no less than two (2) days prior to your confirmed trip. All date change requests are subject to availability and Florida Shark Diving does not guarantee the success of any trip date change. In the event that a trip is canceled due to inclement weather, Florida Shark Diving may offer an alternative date for the trip or offer a full refund on your deposit. Florida Shark Diving reserves the right to negotiate the date of the trip and the amount of money refunded to you. If you arrive late for a trip or do not arrive at all for the trip, Florida Shark Diving reserves the right to not refund your deposit and charge a cancellation fee. No refunds are available once a trip has commenced. Shark sightings are not guaranteed on any of the trips offered by Florida Shark Diving. Your use of the Website shall constitute acceptance of any changes made to this Agreement. By contacting Florida Shark Diving, you agree that Keys Shark Diving, and its designees and agents, may contact you by any available means, including, but not limited to, by email. You acknowledge and agree that Florida Shark Diving is an interactive computer service provider under Section 230 of the Communications Decency Act. Though Florida Shark Diving may edit, remove, or control the content displayed through the Website, you agree that Florida Shark Diving will not be considered an information content provider and will not be held liable for the republication of defamatory or tortious content created by third parties, whether through the Website or otherwise. You understand that the Website may contain links to third party websites, applications, or services that Florida Shark Diving does not own or control. You agree that Florida Shark Diving will not be held responsible or liable for the content of third party websites, applications, or services and that Florida Shark Diving’s inclusion of those websites, applications, or services within its Website does not constitute Florida Shark Diving’s endorsement of, recommendation of, or affiliation with any of those websites, applications, or services. Florida Shark Diving does not endorse or recommend any commercial product, process, or service. The views and opinions of users, contributors, and others expressed on this Website do not necessarily state or reflect those of Florida Shark Diving and are not intended to be used for advertising or product endorsement purposes. Specifically, you are expressly prohibited from: using a robot, spider, scraper, or other automated technology to access the Website; imposing a disproportionate load on the Website or its server infrastructure or otherwise attempting to interfere with the operation of the Website; circumventing Florida Shark Diving’s technological and physical security measures; impersonating another; posting or transmitting content that threatens or encourages bodily harm or destruction of property; posting or transmitting content that infringes upon the intellectual property rights of other users of the Website or third parties; posting or transmitting content that is offensive, threatening, defamatory, derogatory, or obscene; posting or transmitting content that constitutes fraud, an unwanted commercial solicitation, a phishing scam, a pyramid scheme, or a chain letter; and posting or transmitting content intended to collect personal or personally identifiable information from users or third parties. If you encounter content or witness behavior that you believe is inappropriate and violates this Agreement, you may report it to Florida Shark Diving by sending an email to flloridashardiving@gmail.com. This Agreement will remain in full force and effect so long as the Website is in operation. Florida Shark Diving may terminate this Agreement without liability at any time, without notice, and for any reason, including but not limited to for your violation of a term or condition of this Agreement. FLORIDA SHARK DIVING DISCLAIMS ANY RESPONSIBILITY FOR ANY HARM OR LIABILITY ARISING OUT OF OR RELATED TO YOUR USE OF THE WEBSITE OR SERVICES PURCHASED THROUGH THE WEBSITE. FLORIDA SHARK DIVING PROVIDES THE WEBSITE AND THE SERVICES AND PRODUCTS PROVIDED THROUGH THE WEBSITE ON AN AS-IS BASIS AND WITHOUT WARRANTY OF ANY KIND, WHETHER EXPRESS, IMPLIED, OR STATUTORY, INCLUDING BUT NOT LIMITED TO WARRANTIES OF MERCHANTABILITY, FITNESS FOR A PARTICULAR PURPOSE, TITLE, ACCURACY, COMPLETENESS, NON-INFRINGEMENT, OR QUALITY. SOME JURISDICTIONS DO NOT ALLOW AN EXCLUSION OF IMPLIED WARRANTIES. IF YOU ARE LOCATED IN SUCH A JURISDICTION, THIS EXCLUSION MAY NOT APPLY. FLORIDA SHARK DIVING WILL NOT BE HELD LIABLE OR RESPONSIBLE FOR ANY CONTENT POSTED ON THE WEBSITE, INCLUDING BUT NOT LIMITED TO ANY ADVICE OR MARKETING PROVIDED BY ANY THIRD PARTY, ANY THIRD PARTY LINKS POSTED ON THE WEBSITE, OR ANY CONTENT TRANSMITTED THROUGH THE WEBSITE. FLORIDA SHARK DIVING DOES NOT ASSUME RESPONSIBILITY FOR ANY ERROR, OMISSION, INTERRUPTION, DELETION, DEFECT, DESTRUCTION OF IDENTITY, UNAUTHORIZED ACCESS TO AN ACCOUNT, OR ALTERATION THEREOF. FLORIDA SHARK DIVING RESERVES THE RIGHT TO DISCONTINUE THE WEBSITE AT ANY TIME. FLORIDA SHARK DIVING WILL NOT BE HELD LIABLE FOR NETWORK, INTERNET, COMPUTER, HARDWARE, OR SOFTWARE PROGRAM MALFUNCTIONS, FAILURE, DELAYS, OR DIFFICULTIES WITH THE WEBSITE AT ANY TIME. FLORIDA SHARK DIVING WILL NOT BE LIABLE TO YOU UNDER ANY LEGAL THEORY FOR ANY DAMAGES, CLAIMS, INJURIES, JUDGMENTS, COSTS, OR LIABILITIES ARISING OUT OF OR RELATED TO YOUR USE OR MISUSE OF THE WEBSITE OR YOUR USE OF PRODUCTS OFFERED THROUGH THE WEBSITE, INCLUDING, BUT NOT LIMITED TO, LOSS OF BUSINESS, LOSS OF INCOME, SPECIAL DAMAGES, INCIDENTAL DAMAGES, CONSEQUENTIAL DAMAGES, PUNITIVE DAMAGES, OR EXEMPLARY DAMAGES. YOU UNDERSTAND AND AGREE THAT THE MAXIMUM AMOUNT THAT FLORIDA SHARK DIVING CAN BE HELD LIABLE TO YOU UNDER ANY CIRCUMSTANCE IS THE AMOUNT THAT YOU PAID, IF ANY, FOR SERVICES PURCHASED THROUGH THE WEBSITE, AND IN NO CASE WILL THAT AMOUNT EXCEED $100. IF NO AMOUNT IS PAID BY YOU TO FLORIDA SHARK DIVING, YOU AGREE THAT YOU WILL BE LIMITED TO INJUNCTIVE RELIEF ONLY UNLESS OTHERWISE PERMITTED BY LAW. FLORIDA SHARK DIVING WILL NOT BE LIABLE TO YOU FOR ANY KNOWN OR UNANTICIPATED RISKS WHICH COULD RESULT IN PHYSICAL OR EMOTIONAL INJURY, PARALYSIS, DEATH, OR DAMAGE TO YOUR PERSON OR PROPERTY ARISING OUT OF ANY OF THE SERVICES OFFERED ON THE WEBSITE. EVEN THOUGH FLORIDA SHARK DIVING ENSURES HIGH QUALITY OF ALLTHE PRODUCTS AND SERVICES THEY OFFER, FLORIDA SHARK DIVING WILL NOT BE LIABLE FOR ANY UNKNOWN MALFUNCTIONS WITH FLORIDA SHARK DIVING’S BOAT OR EQUIPMENT. THE WEBSITE MAY CONTAIN TECHNICAL INACCURACIES OR TYPOGRAPHICAL ERRORS OR OMISSIONS. FLORIDA SHARK DIVING IS NOT RESPONSIBLE FOR ANY SUCH TYPOGRAPHICAL, TECHNICAL, OR PRICING ERRORS LISTED ON THE WEBSITE. You agree to hold harmless, indemnify, and defend Florida Shark Diving, its officers, employees, agents, successors, and assigns, from and against any and all claims, demands, losses, damages, rights, and actions of any kind, including, but not limited to, property damage, infringement, personal injury, and death, that either directly or indirectly arise out of or are related to your use of the Website, your use or provision of any services or products purchased through the Website, your violation of any term or condition of this Agreement, your violation of any applicable law, statute, ordinance, regulation, or treaty, whether local, state, national, or international, or your violation of the rights of a third party. Your obligation to defend Florida Shark Diving under the terms of this Agreement will not provide you with the right to control Florida Shark Diving’s defense, and Florida Shark Diving reserves the right to control its defense and choose its counsel regardless of your contractual requirement to indemnify Florida Shark Diving. You acknowledge and agree that you are prohibited from assigning your rights and obligations under this Agreement. Florida Shark Diving may assign its rights and obligations under this Agreement at any time, including but not limited to in a sale of the Website. This Agreement will be interpreted under and governed by the laws of the State of Florida without giving effect to any conflicts of laws principles. You agree that any claim or dispute that you may have against Florida Shark Diving or the Website, in which the aggregate total claim for relief sought on behalf of one or more parties exceeds $7,500 shall be adjudicated in any state or federal court in Florida. You agree that any claim or dispute that you may have against Florida Shark Diving or the Website will be exclusively resolved through arbitration. YOU AND FLORIDA SHARK DIVING AGREE THAT ARBITRATION WILL BE THE EXCLUSIVE FORUM AND REMEDY AT LAW FOR ANY DISPUTES ARISING OUT OF OR RELATING TO THIS AGREEMENT, YOUR USE OF THE WEBSITE, OR THE PURCHASE OF SERVICES FROM FLORIDA SHARK DIVING, INCLUDING ANY DISPUTES CONCERNING THE VALIDITY, INTERPRETATION, VIOLATION, BREACH, OR TERMINATION OF THIS AGREEMENT. ARBITRATION UNDER THIS AGREEMENT WILL BE HELD IN FLORIDA AND IN ACCORDANCE WITH THE MOST RECENTLY EFFECTIVE COMMERCIAL ARBITRATION RULES OF THE AMERICAN ARBITRATION ASSOCIATION. THE ARBITRATION PROCEEDING WILL BE DECIDED BY A SINGLE ARBITRATOR AND THE ARBITRATOR WILL DECIDE THE ARBITRATION PROCEEDING BY APPLYING THE LAWS AND LEGAL PRINCIPLES OF THE STATE OF FLORIDA AND THE FEDERAL LAWS OF THE UNITED STATES. THE LOSING PARTY WILL BE REQUIRED TO PAY THE PREVAILING PARTY’S REASONABLE ATTORNEYS’ FEES. YOU AND FLORIDA SHARK DIVING AGREE THAT THE SITUS OF THIS AGREEMENT IS IN THE STATE OF FLORIDA. YOU AND FLORIDA SHARK DIVING AGREE TO SUBMIT TO THE EXCLUSIVE PERSONAL JURISDICTION OF ANY SUCH ARBITRATOR OR ARBITRATION PROCEEDING. This Agreement constitutes the entire agreement between the parties with respect to the use of the Website and its associated services and products. You acknowledge and agree that any additional provisions that may appear in any communication from you will not bind Florida Shark Diving. FLORIDA SHARK DIVING AND YOU BOTH AGREE THAT ANY CAUSE OF ACTION ARISING OUT OF OR RELATED TO THE WEBSITE OR ANY SERVICES PURCHASED THROUGH THE WEBSITE MUST COMMENCE WITHIN ONE YEAR AFTER THE CAUSE OF ACTION ACCRUES. FAILURE TO ASSERT SAID CAUSE OF ACTION WITHIN ONE YEAR WILL PERMANENTLY BAR ANY AND ALL RELIEF. All rights not expressly granted herein are reserved to Florida Shark Diving. A copy of any such notice must be emailed to floridashardiving@gmail.com, but email notice alone shall not comply with the notice requirements of this Agreement.